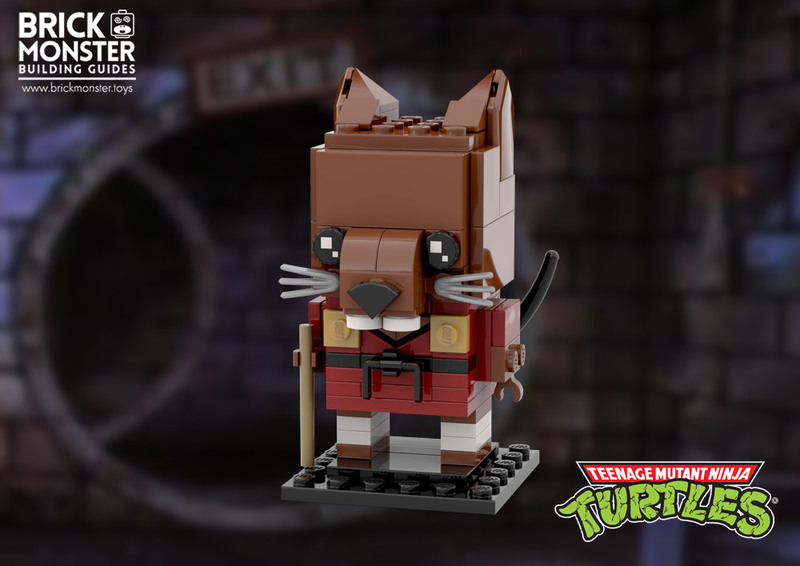 Four years have passed since LEGO last produced sets based on the Ninja Turtles TV series. 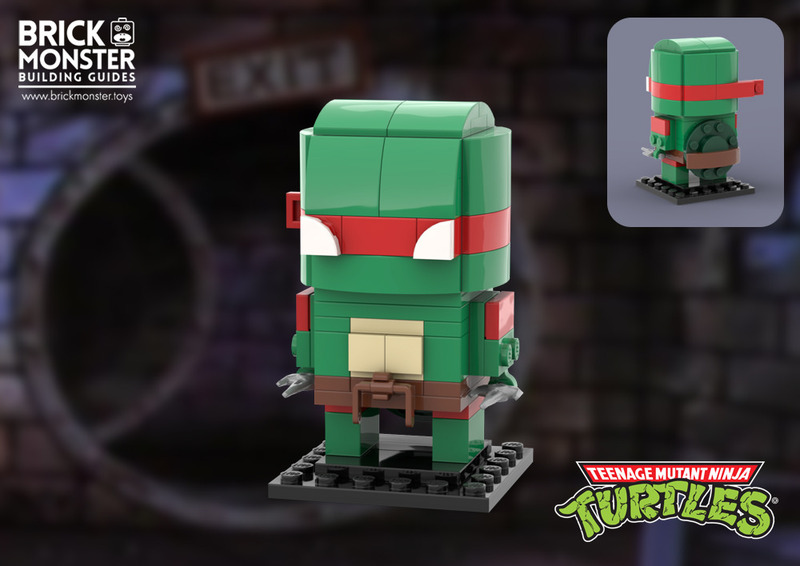 If BrickHeadz had existed back in 2014, we would have likely seen sets featuring blocky versions of the turtles. 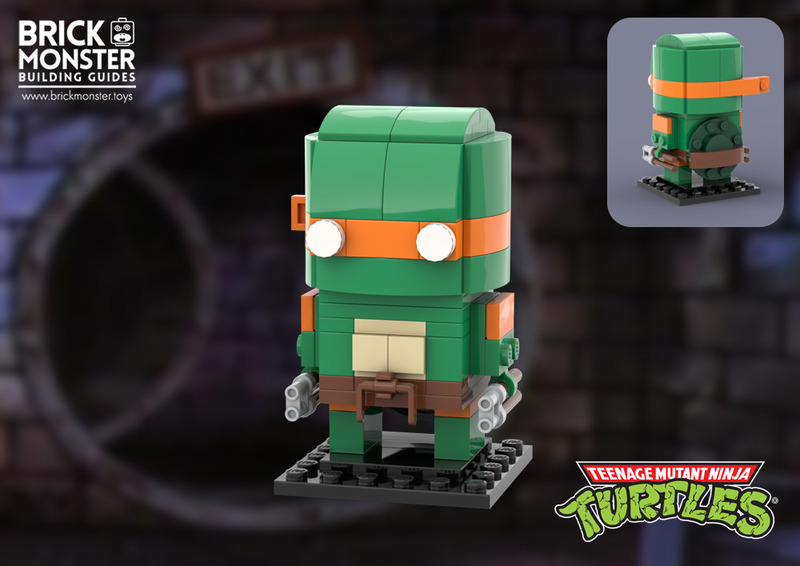 Fortunately, Charles P has filled the void with seven charming BrickHeadz versions of characters from the classic franchise. All four of the turtles are here, complete with their appropriate weapons. Raphael’s tilted eyes perfectly capture his “rude” attitude from the original TV show’s opening song. 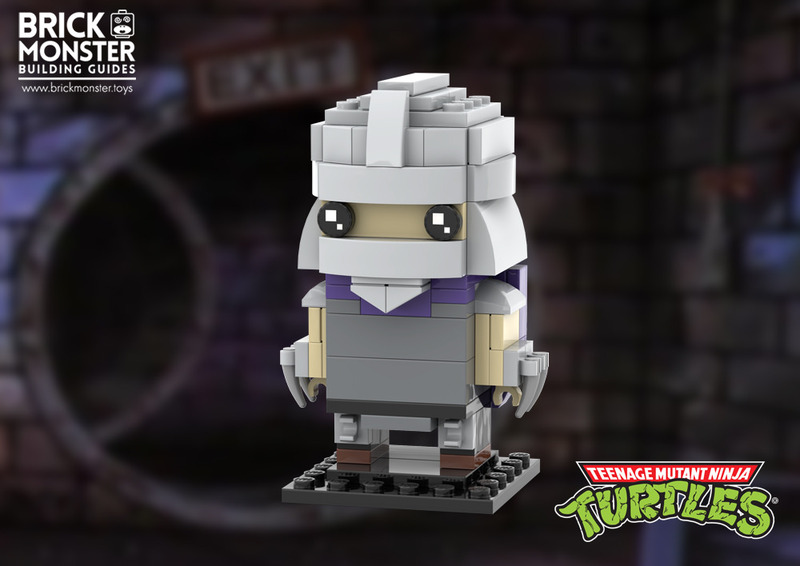 Master Splinter, Shredder and even Krang have also received the BrickHeadz treatment, and they look just as whimsical and fun. Speaking of fun, I think singing the show’s opening song is the best way to introduce Charles’ models. I just saw a coffee table book for TMNT at B&N yesterday with a really interesting cover. The overall pose, along with Raph, was drawn like the cover for the first comic book. Next, appropriately, was Mikey done in the style of the first animated series. Leo was based on the second animated series from the early 00’s (my favorite so far), and finally Donnie was from the first Nickelodeon series that recently ended. Kids still love spotting the Turtles on our MichLUG layouts, and while part of me doesn’t mind not having to figure out how to buy more sets, and I compare it to the wide range of characters that DC and Marvel can tap into and see how it might be hard to keep sales up, I also wonder how well it would do if they just released a single wave every 3-5 years. I’m guessing you didn’t grow up on the original animated series? I can’t really stand it now (most cartoons from my early childhood have _not_ aged well at all), but back when it first came out it was the most popular superhero-based TV show in the US. I don’t know how many people stuck with it the entire run, but the first series lasted a whopping ten seasons and an astonishing 193 episodes. It’s extremely rare for any TV series to last that long, but in terms of kid’s shows it’s almost unheard of. Usually they ran them just long enough to qualify for syndication, which was 65 eps back in the 80’s. After that, you just rent it out for pure profit. Yeah, I watched it occasionally. (Not regularly, since I didn’t have cable TV.) 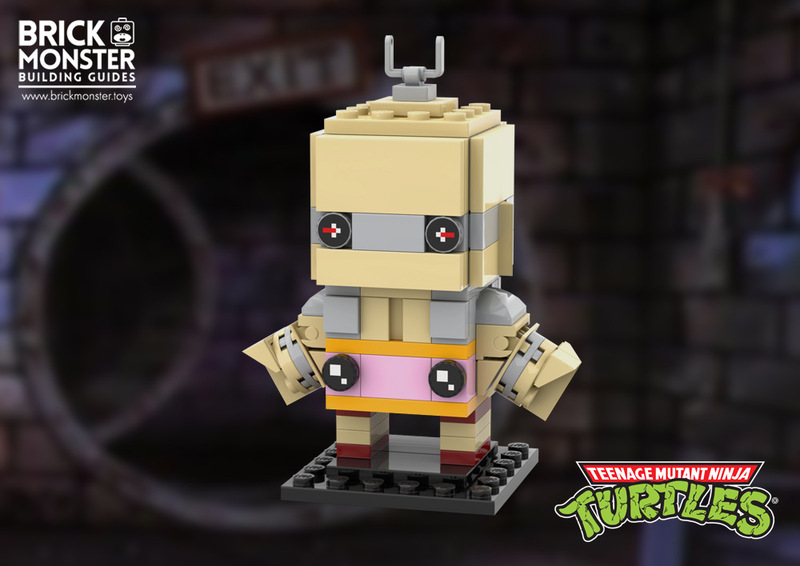 I just expected the Krang brickhead to be built around his brain shape. But I see now, that it apparently was Shredder that built Krang’s body, not Krang, himself. I was wrong, there. But I do remember the Turtlemania. I actually didn’t know that. I never read the comic book (aside from picking up a reprint of the first issue for Free Comic Book Day on the 25th Anniversary), and I have largely avoided the original series since I stopped watching it in original broadcast. And apparently Krang was created for the animated series, and also not originally an Utrom. Every series and comic book run plays with the mythos a bit, so Krang has been a rogue Utrom in the second series, where in the third series the Kraang race were basically the Romulans to the Utroms Vulcans. The third series also had _all_ of the Kraang hiding in the bellies of a bunch of MIB-type robot bodies. If their outer shell got destroyed, they looked like Terminator-style endoskeletons with exposed belly-brains (there are three minifigs based on this look). I have no idea what the fourth series has done with them because I forgot to keep an eye out for it and now I have to play catch-up with the first dozen episodes (on the plus side, it looks like they flubbed the continuity, so I can adjust the order so it makes sense). Anyways, they keep borrowing elements from previous iterations and changing them up each time, but one thing that appears to be consistent is that any character or race that goes by Krang/Kraang is always evil. Even Shredder has sometimes flipped sides.